Home › Barcoding News › Printek Promo: Cash Back for your Old, Unwanted Printers! Printek Promo: Cash Back for your Old, Unwanted Printers! Printek wants to make it easy to upgrade your mobile printers with their current simple cash back promo. 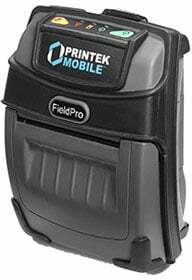 No matter the brand you will receive up to a $50 rebate when you trade in any model printer and purchase a new PrintekMobile FieldPro 530, VehiclePro 400, or Interceptor 800 printer. A trade-in rebate of $50 is available for each printer traded for the purchase of a FieldPro 530 or a VehiclePro 400. A trade-in $25 rebate is available for each printer traded for the purchase of an Interceptor 800. The trade-in rebate program runs through 12/31/16. Feel free to contact one of our printer specialists for assistance choosing the right Printek printer for your needs.